COAST - Fighting for the taxpayers, not working against them! : 9th SuperPAC mailer is out! 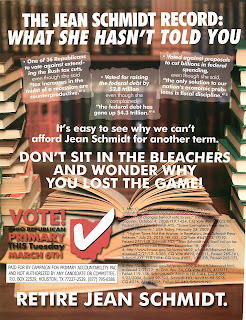 Once again, they hit Schmidt on ethics and taxes and spending. Win or lose, it warms the cockles of COAST's heart to know that the voters have been told of her corruption. It's up to them after that. Now, go forth and vote!